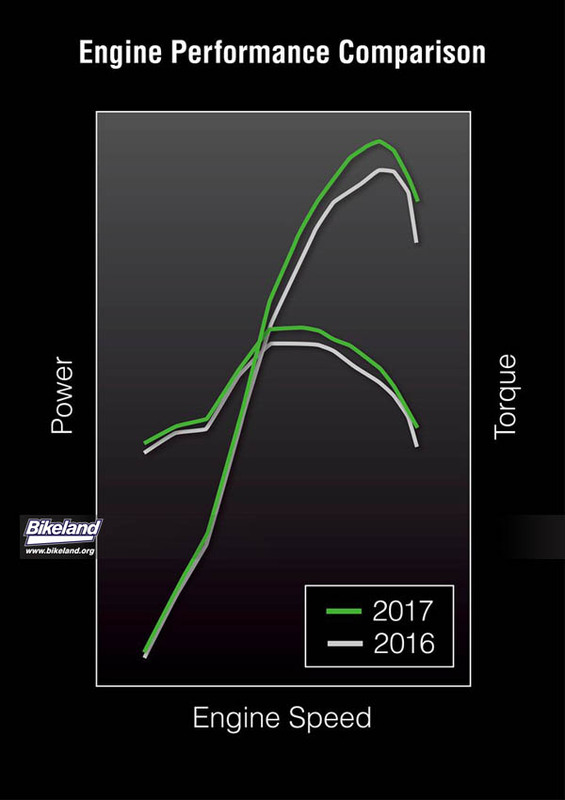 Kawasaki released some of their 2017 lineup today including an all new 2017 KX250F and KLX140G. 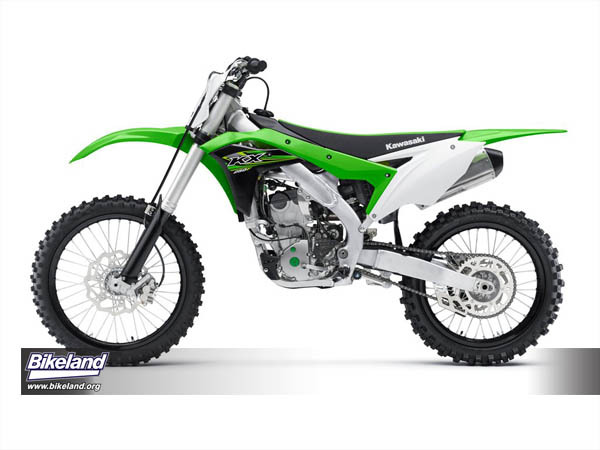 KMC tells us that the new KX250F comes in a new lighter weight package and narrower frame and sports a new and more powerful engine. Adding to the KLX family is the new KLX140G that surprisingly utilizes both a kickstarter as well as a keyless electric start. 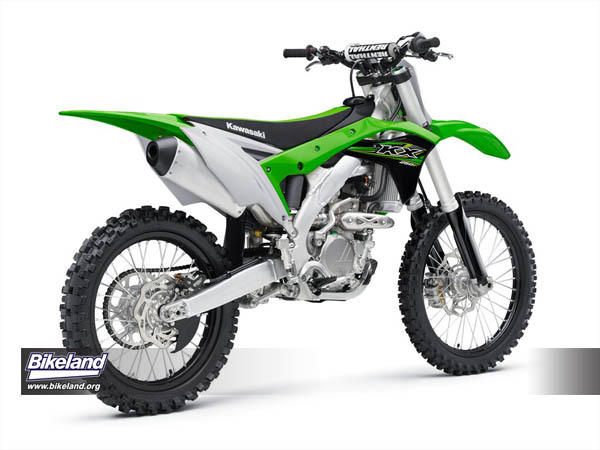 Shipping with full size off road wheels, Kawasaki's latest trail bike will be a bonus for beginner riders. 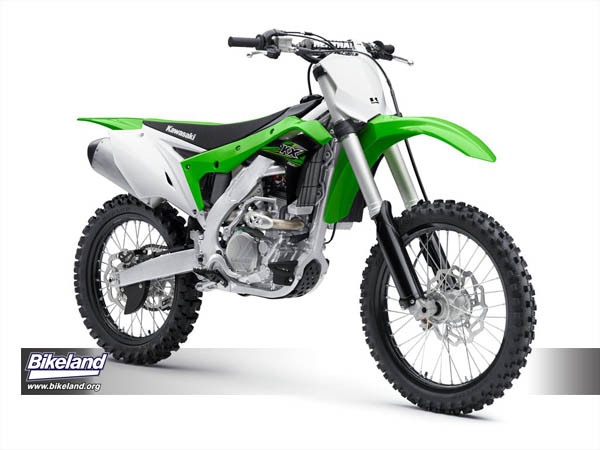 The all-new KLX140G motorcycle is a lightweight full-size trail bike designed to let the pureness of dirt riding shine through. 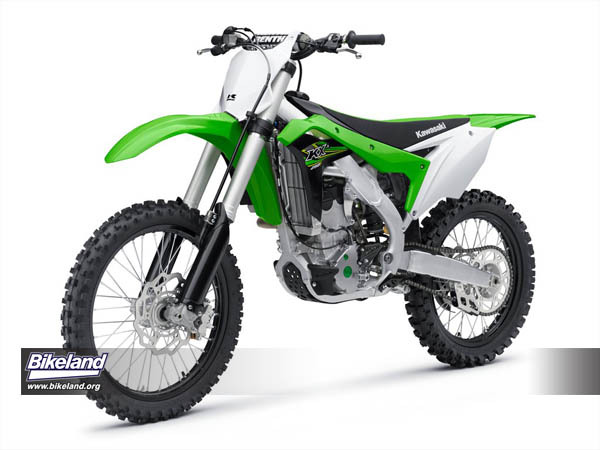 New for the 2017 model year, the KLX140G comes with full size off-road wheels and tires, a powerful and durable 144cc 4-stroke, air-cooled, single-cylinder engine, electric starter and keyless ignition. 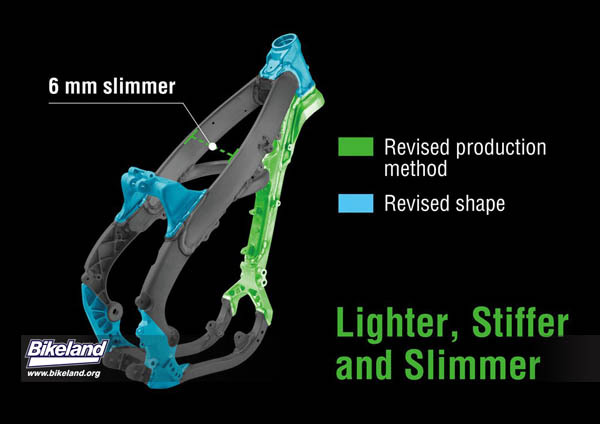 Its ergonomics and lightweight chassis make it ideal for taller riders who want to experience the KLX140G. Built to provide newer and more experienced riders alike great off-road performance in a bike that fits well and is easy to ride, the KLX140G is all about pure fun in the dirt. 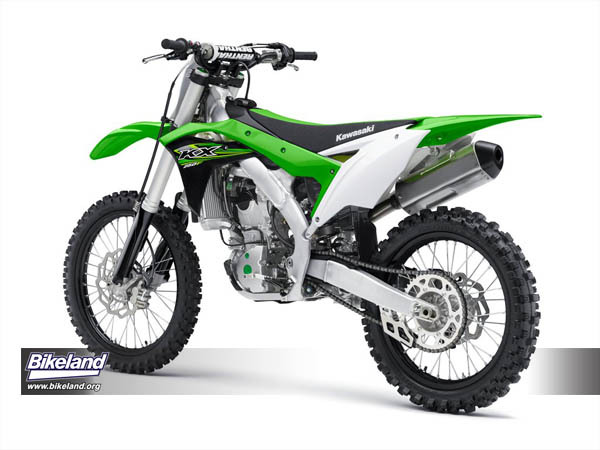 The KLX140G is lightweight, has a low seat height, broad and smooth high-revving 140cc engine with a manual clutch, 5-speed transmission. 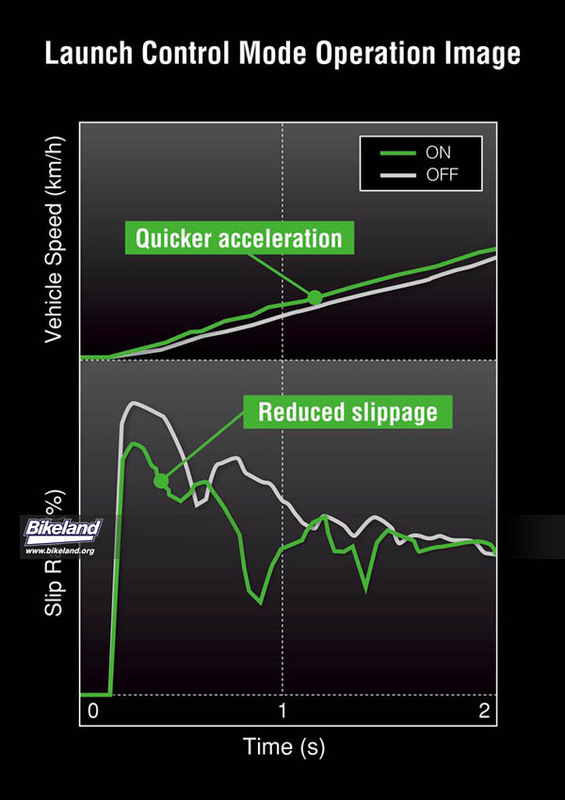 These factors make it a great off-road motorcycle for a wide range of riders. From the younger or less experienced riders advancing their riding skills, to their parents wanting a bike to join them on the trails, it’s a capable and unintimidating motorcycle designed to deliver unlimited fun. 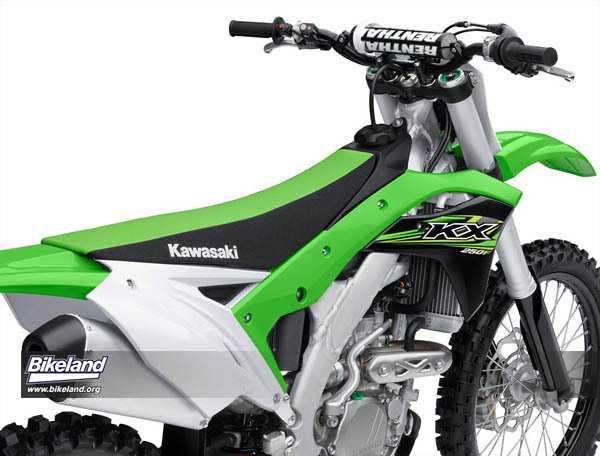 The KLX140G motorcycle is ideal for a variety of riders. The new KLX140G was designed to encourage inexperienced riders to get out and have fun, without the worry of a motorcycle that is too heavy or skills intensive. 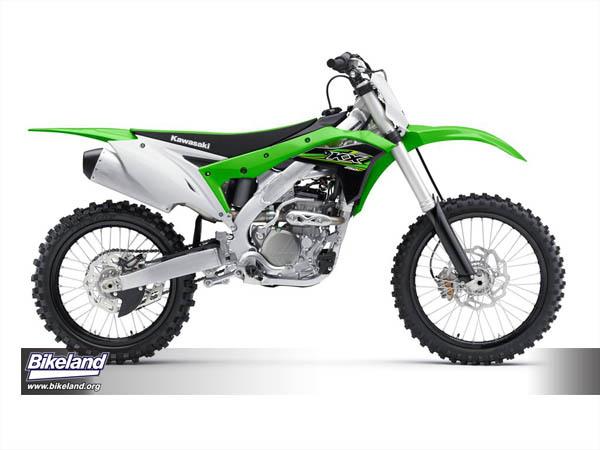 The KLX140G is built to be an unintimidating step up through the Kawasaki KLX and KX™ motorcycle families. 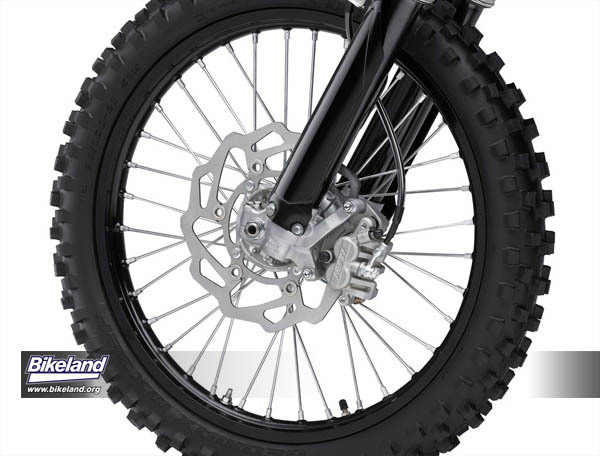 The new full size wheel and tire combination and enhanced maneuverability make it fun for experienced riders too. 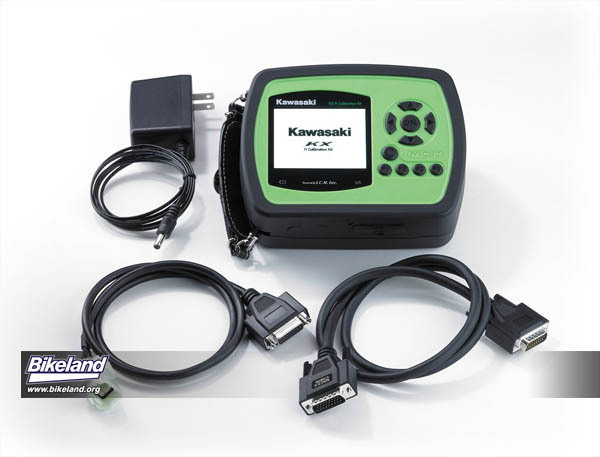 The KLX140G offers a reliable compact power plant that is simple to operate and maintain. 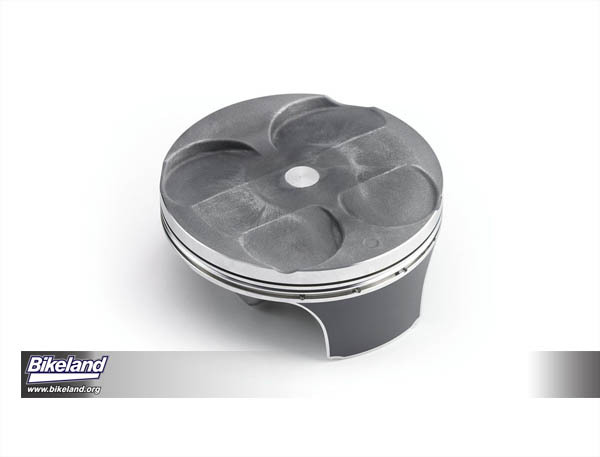 With a 144cc engine it delivers plenty of power through the rev range. 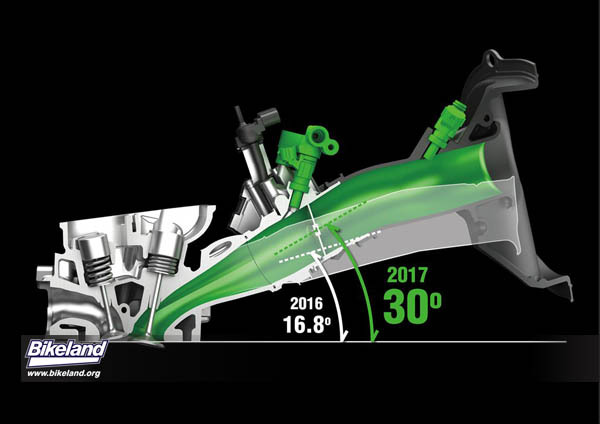 A progressive manual clutch offers new riders the chance to experience full control of gear shifting. 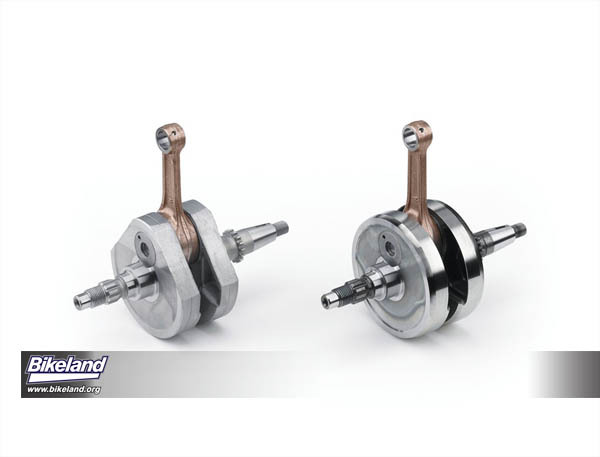 The clutch features a spring damper resulting in a progressive, 2-stage engagement that facilitates half-clutch use when riding at extremely low rpm or idling speeds, making it great for technical riding. 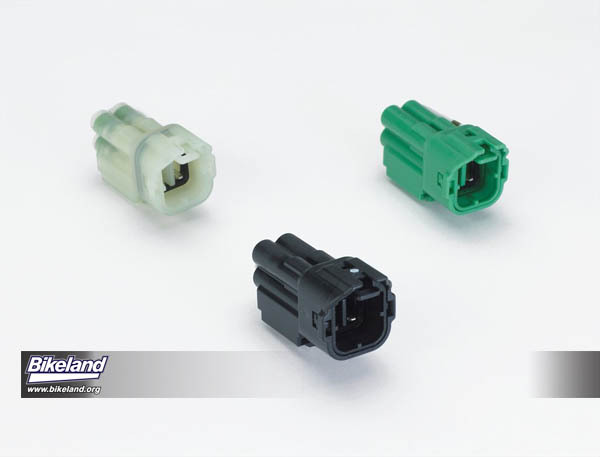 Additional benefits are a direct, but light feel and high durability. 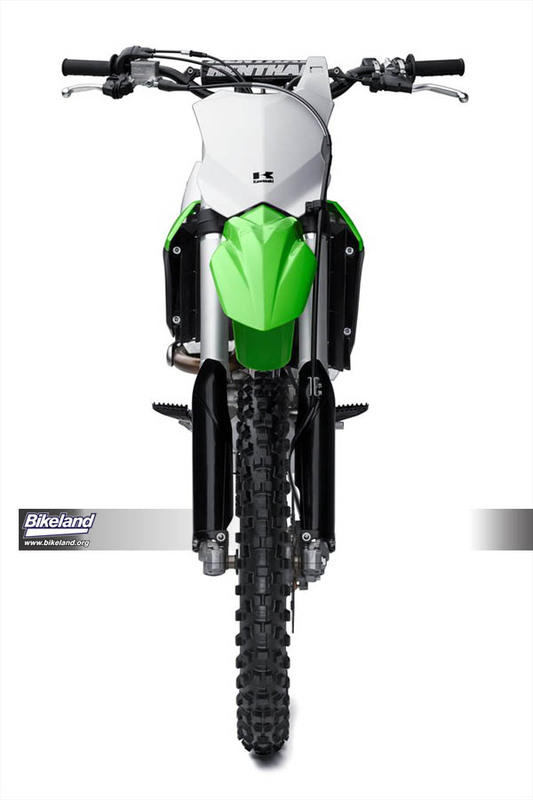 The KLX140G comes standard with a spark arrester, which is a must for trail riding. 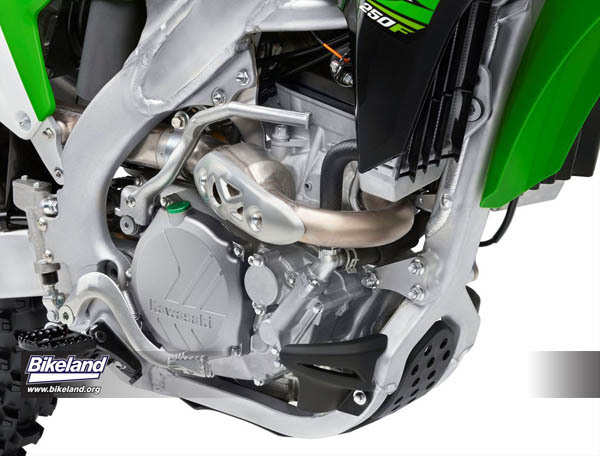 Having this as a standard feature is another way Kawasaki has made the KLX140G a trail-ready motorcycle. No worries, just riding. 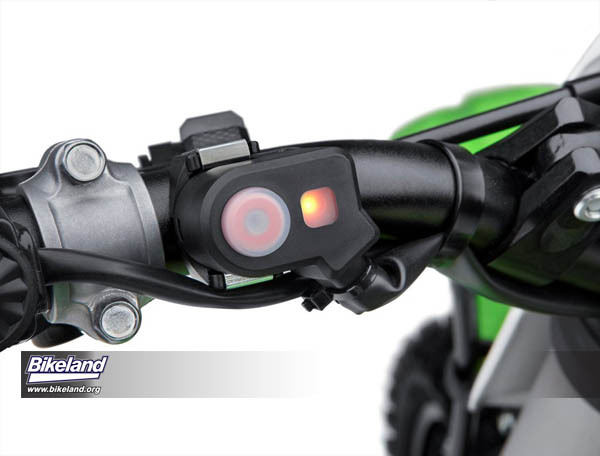 Another major factor that makes the KLX140G ideal for almost any level rider is the addition of an electric starter, utilizing a keyless ignition. 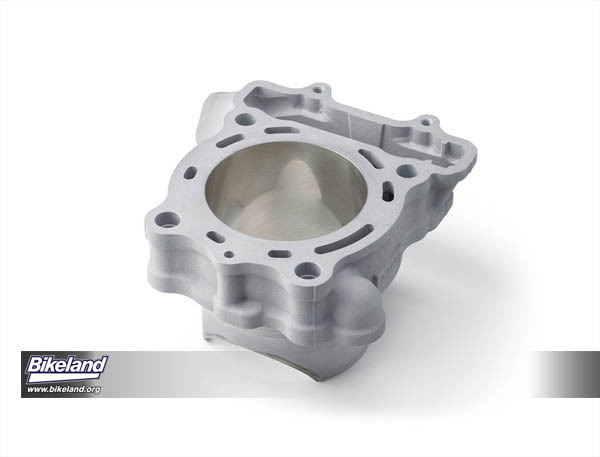 It still retains a kick-starter for those riders who are learning or for when a backup is needed. 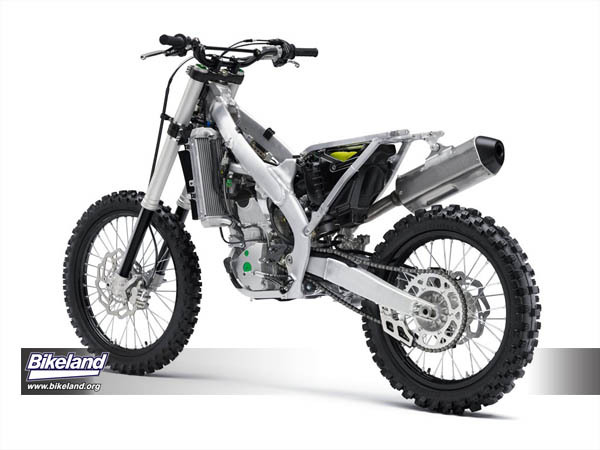 Combined with the highly rigid frame is the capable suspension that helps ensure steady handling and feedback, contributing to the KLX140G’s high level of off-road fun. 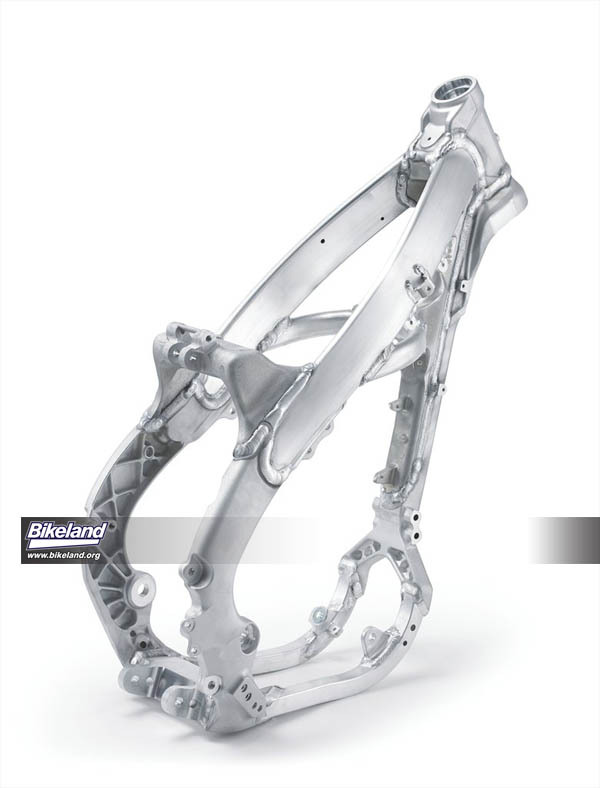 First is the box-style, high-tensile steel perimeter frame, which provides a rigid, lightweight and narrow chassis for easy handling or spirited riding. 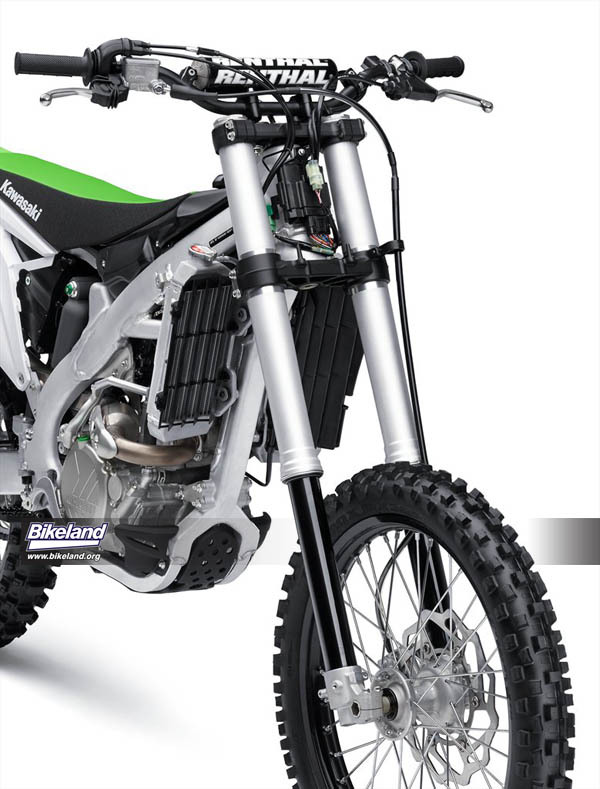 Up front you’ll find 33mm telescopic front forks with 7.5 inches of wheel travel with a Uni-Trak rear suspension that has 7.9 inches of wheel travel. This adds up to capable and fun riding over a variety of terrain. 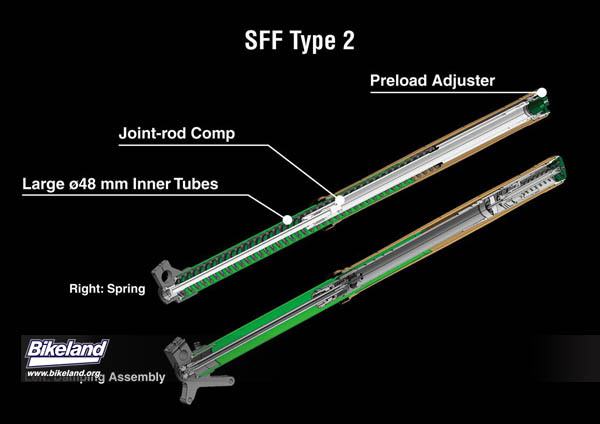 The rear shock features a piggyback reservoir, aluminum shock body and reservoir, fully adjustable preload, 4-way compression damping, and 22-way rebound damping. 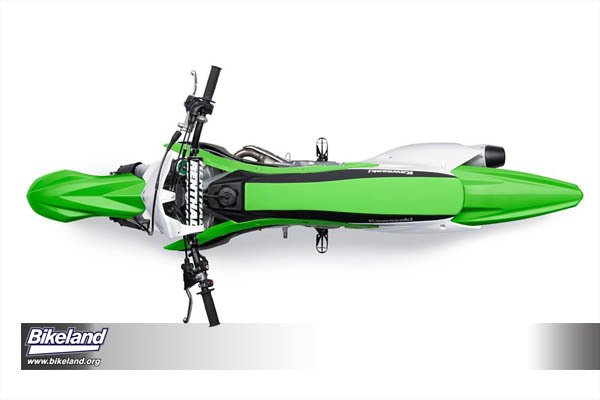 The racy styling of the new KLX140G was inspired by the design of Kawasaki’s KX motocross racers. The sharp, aggressive design is backed up by great trail-riding potential thanks to the box-section perimeter frame, adjustable suspension, front and rear disc brakes and full size wheels. Two-piece “radiator shrouds” with ventilation holes contribute to a sporty, lightweight image. 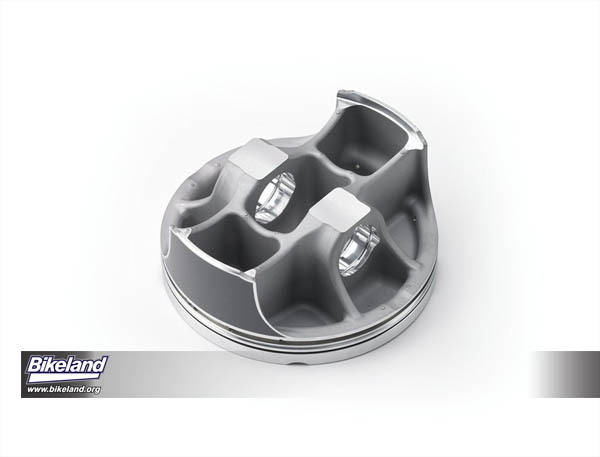 An additional cover over the tank ensures a flush transition from tank to shroud, contributing to the high level fit and finish. A combination of form and function, the narrow frame and open ride position makes the bike maneuverable and fun to ride no matter the rider’s stature. 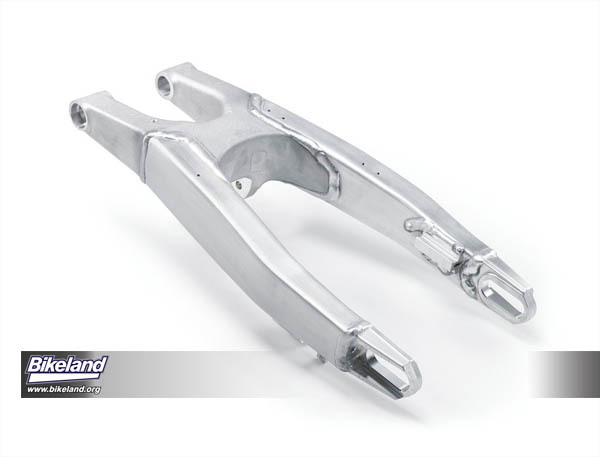 Large footpegs provide ideal grip making it easy for riders to keep their feet on the pegs. 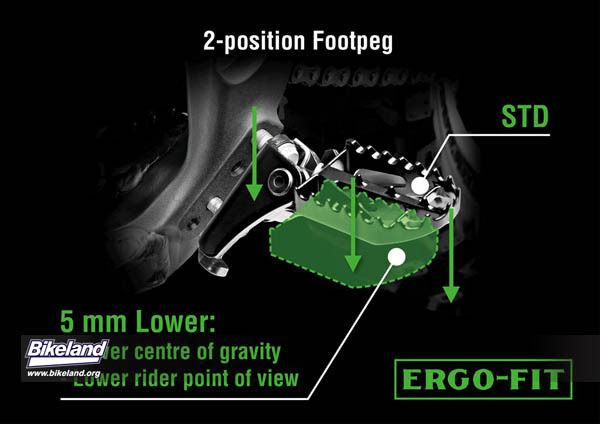 The footpegs are positioned close to the bike’s centerline to create a slim riding position. The flat design of the tank and seat gives the rider greater freedom of movement when changing riding position. 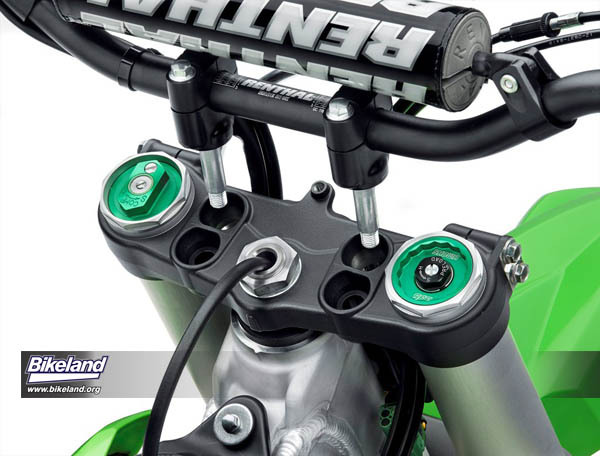 The handlebar is rubber-mounted to reduce vibration transferred to the rider’s hands for enhanced comfort. 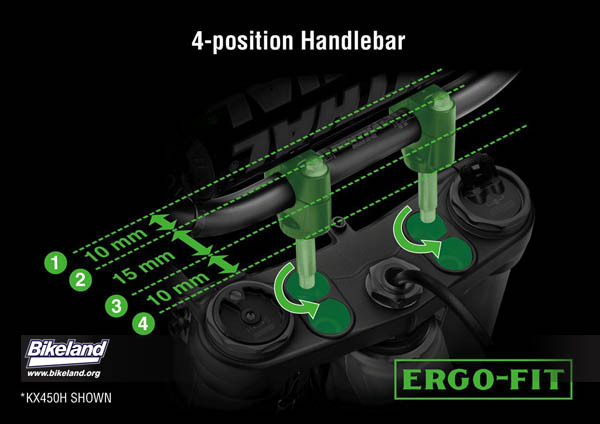 Handlebar grips feature a raised pattern on half of the surface making them comfortable and easy to grip. 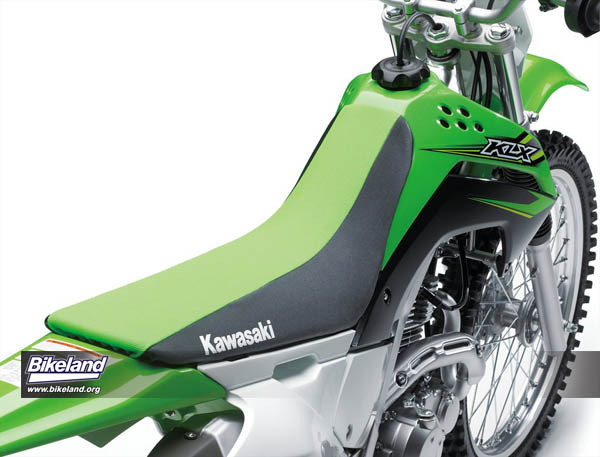 Like the KX racers, the KLX140G motorcycle features a stylish two-tone seat cover that uses a slip-resistant top surface for good grip when seated and smooth sides for excellent rider mobility. 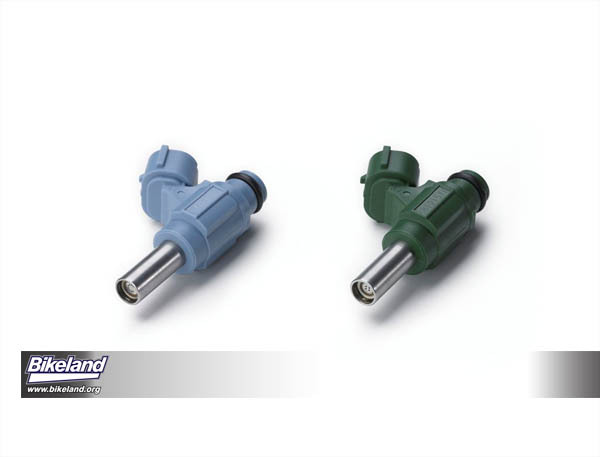 These models offer a variety of sizes and performance. 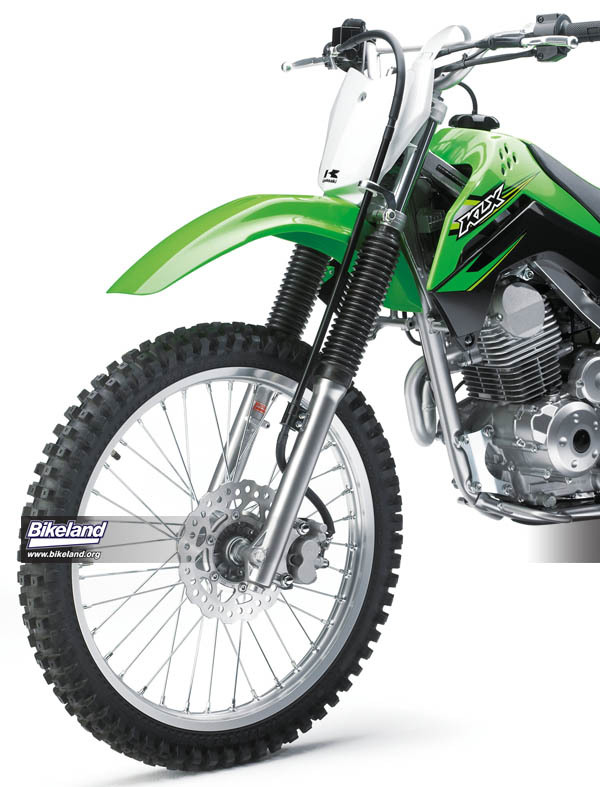 The KLX110 comes standard with a semi-automatic transmission for beginning riders not quite ready for shifting with a manual clutch. 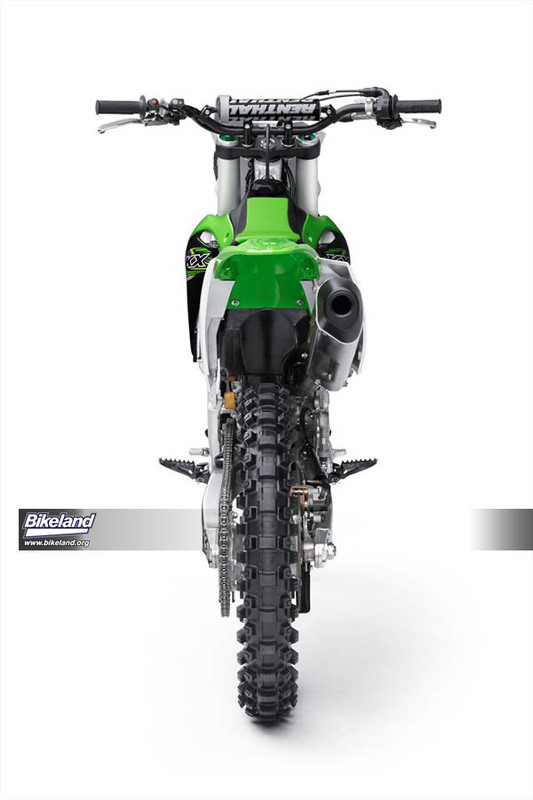 The KLX110L comes standard with a manual clutch for enhanced control, along with taller wheels and tires, and longer travel suspension for bigger riders. 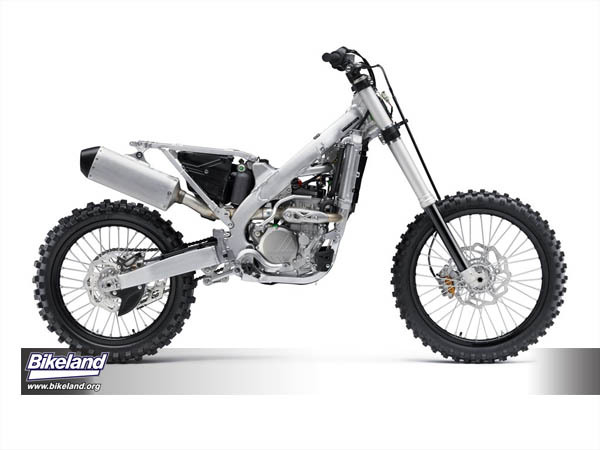 The KLX140 is available in three model variations, all featuring a lightweight and durable steel frame and powerful air-cooled 144cc engine. 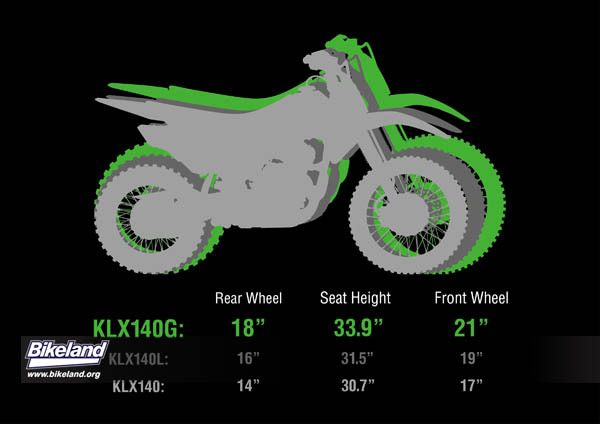 The KLX140G comes with a 21-inch front wheel and 18-inch rear wheel with a 33.9 inch seat height, the KLX140L comes with a 19-inch front wheel and 16-inch rear wheel and has a seat height of 31.5 inches, and the KLX140 comes with a 17-inch front wheel and 14-inch rear wheel with a seat height of 30.7 inches. All models come in Lime Green. 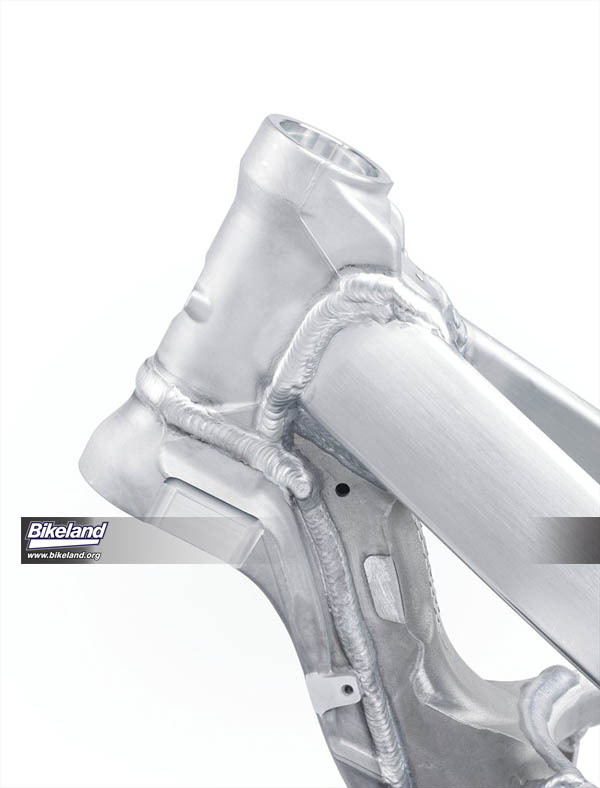 to provide a bike that builds champions.